We’ve found great bachelorette party ideas West Palm Beach that can be added to your bachelorette itinerary. Butlers in the Buff are scantily clad servers at your command! Wearing only a bottom revealing apron and little else they make sure the drinks are flowing and that your guests are looked after. From beach parties to champagne receptions Butlers in the Buff are on hand to ensure your bachelorette party in West Palm Beach is a memorable one. Here some of our favourite suggestions, also check out our Facebook, Pinterest, Twitter and Instagram feeds to see what’s on trend and what other girls get up to with their Butlers in the Buff! 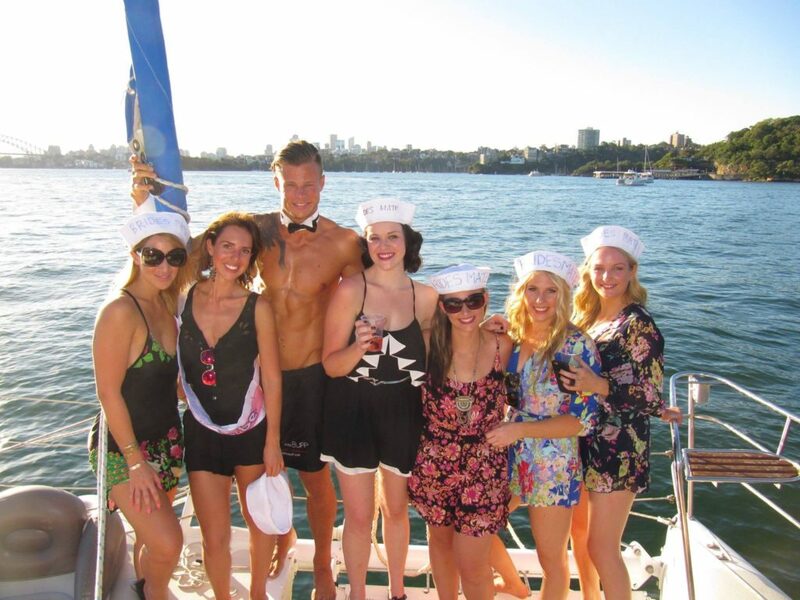 Take your bachelorette party on an intra-coastal cruise. Most yacht companies are happy to have us on board. Run with a saucy nautical theme from sailors hats to vintage swimwear. Try a morning of surfing with Aloha Surfing then rejuvenate afterwards on the beach with a picnic served by a gorgeous Butler in the Buff before your night out. If your bachelorette party West Palm Beach is still thirsty for more luxe times then the cream of the crop is Eau Spa at The Ritz Carlton. Make a weekend of it and truly be swept away into bliss. For snappy weekend bachelorette activities why not try a mixology class, take a burlesque lesson or challenge the bachelorette party with indoor rock climbing? Choose a fun theme that reflects the bachelorette party and go for a wild night on the town! Start with hiring one of West Palm’s gorgeous resort hotel rooms and surprise your guests with a handsome Butler in the Buff to meet them at the door with a glass of champagne! He’ll only be too pleased to host your party games and participate in any icebreakers. Then head out into the night feeling like a million. West Palm nightlife ranges from fabulous tiki bars to chilled out lounges with ocean views. Book a party bus or limo to take the bachelorette party from club to club in style! For more fabulous bachelorette party ideas West Palm Beach follow us on our social media pages. Whether it’s down to budget or downtown can’t handle how wild your group can get-there are plenty of fabulous ideas for a great stagette at home. The sky’s the limit! From crazy themes to creating thoughtful, personal touches there is a lot of scope within the privacy of home or a hotel getaway. Have a pamper evening with Butlers in the Buff! Hire a mobile spa to come to your home and transform your living space into a serene escape! Pamper parties at home work best with smaller groups to ensure that everyone gets ample attention. Have a Butler in the Buff serve mimosas, spa pops and other light treats while the girls wait their turn. Articulate and gorgeous Butlers in the Buff know how to really remove the strain from entertaining!